Without any prior symptoms and without warning, one person, stopping in his car at a red light, goes blind. A good Samaritan (who turns out to be a thief) helps him and he too goes blind. 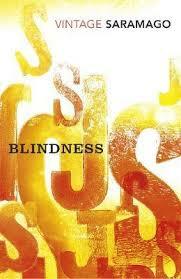 The first blind man’s wife takes him to an ophthalmologist, who also goes blind. More and more people go blind. Is it an epidemic? Is it possible to stop it? While authorities are grappling with the problem, even more people go blind – cars collide, planes fall out of the sky. . . People are terrified that it is contagious, and the blind people are placed in quarantine. No one wants to have anything to do with them for fear of catching the unexplained blindness, and it becomes a case of the blind leading the blind in an unfamiliar, degraded environment with next-to-no amenities, very little food and no one who can guide them. 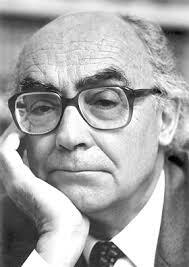 The scenario that Saramago paints is brutal and devastating: deprived of one of his senses man resorts to basic primal instincts, and society as we have always known it simply disintegrates. The story centres around a small group of people, all but one of them blind. None of them have names but are referred to as ‘the first blind man’, ‘the doctor’, ‘the man with the black eyepatch’. . . The person who still has sight, ‘the doctor’s wife’, becomes the leader for her little group, and while the people around her are sheltered from images that resemble how we might imagine hell she herself has no way of avoiding them. 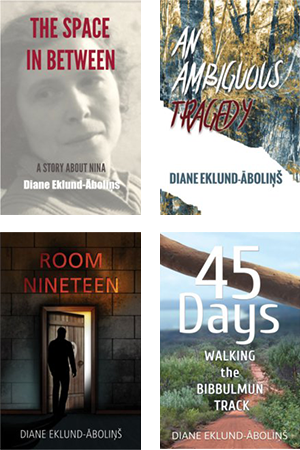 The anonymity – characters, place and time – drags the reader into the story. We are no longer reading about something apart from ourselves but about something that concerns every single one of us. Saramago uses a stream-of-consciousness style, no conversational punctuation and long unbroken paragraphs, all of which can present the reader with a slight, but not an impossible, challenge. Beyond the challenge the writing is terse, immediate and beautiful, and it does not take long before the reader is pulled into Saramago’s nightmare.